After gaining a first class honours degree in physiotherapy, Matthew went on to treat a wide range of orthopaedic and musculoskeletal patients of all ages within NHS hospitals before going on to pursue his passion for sports rehabilitation. As a sports physiotherapist he's helped elite athletes - including many professional footballers - recover speedily from injuries, fractures, sprains, muscle strains and nerve damage. He has also safely guided clients who wish to return to sports, running, and competitive marathons after a long period of inactivity. 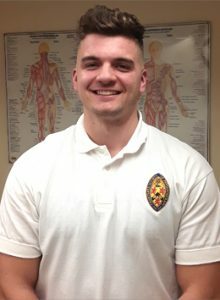 Matthew incorporates a variety of techniques including those used within sports and holistic massage, sports taping and exercise management to reduce pain, optimise movement, widen range of motion, strengthen muscles and decrease risk of re-injury. Matthew pursues his interest in health by attending the gym, running fitness classes, and playing 5-a-side football.